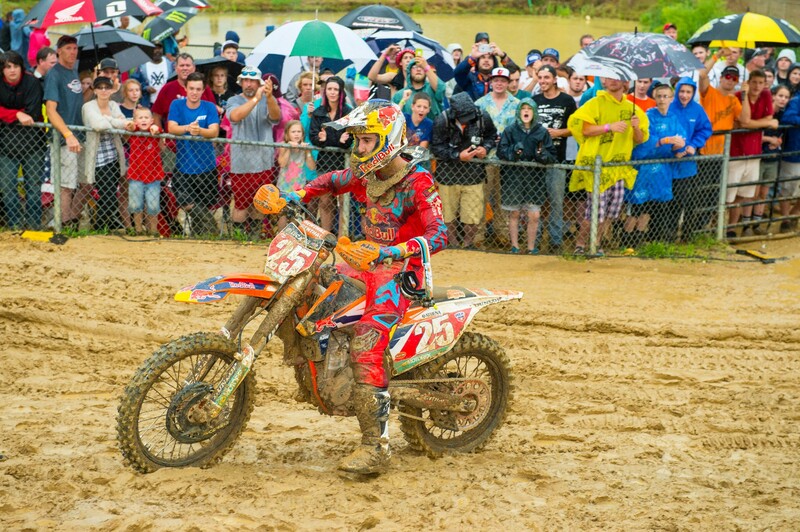 Highlights from all motos at a very muddy Budds creek and Cudby photos! 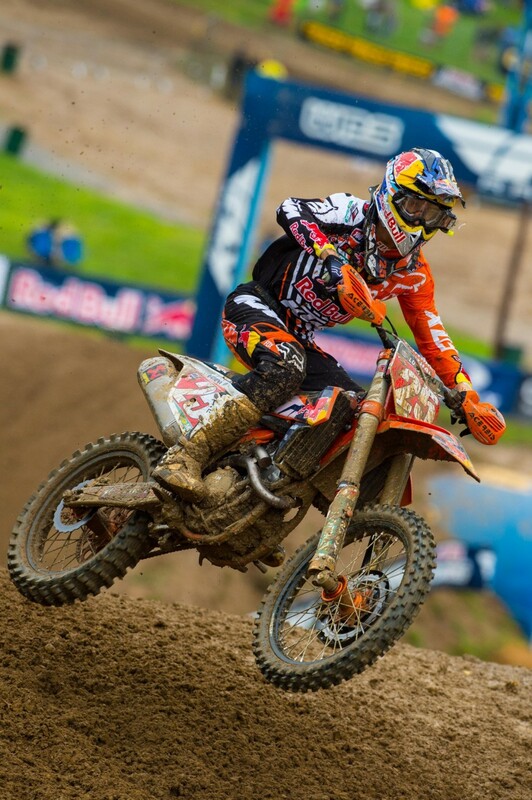 Red Bull KTM Factory rider Marvin Musquin took the overall 250-class win at Budds Creek in Mechanicsville, Maryland with a 1-7 moto score while teammate Ryan Dungey managed to extend his points lead after winning the opening moto and recovering from a crash at the beginning of the second moto. 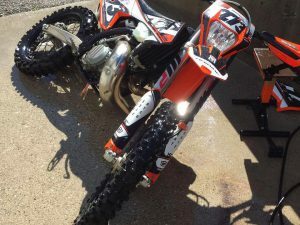 Races were held in very muddy conditions and the second 450-class moto was delayed after an extreme downpour. 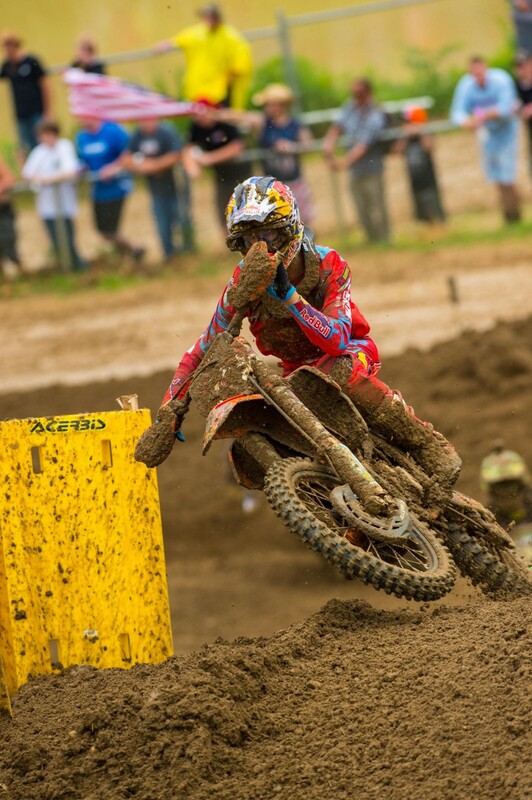 Budds Creek was the sixth round of the US Pro Motocross season. 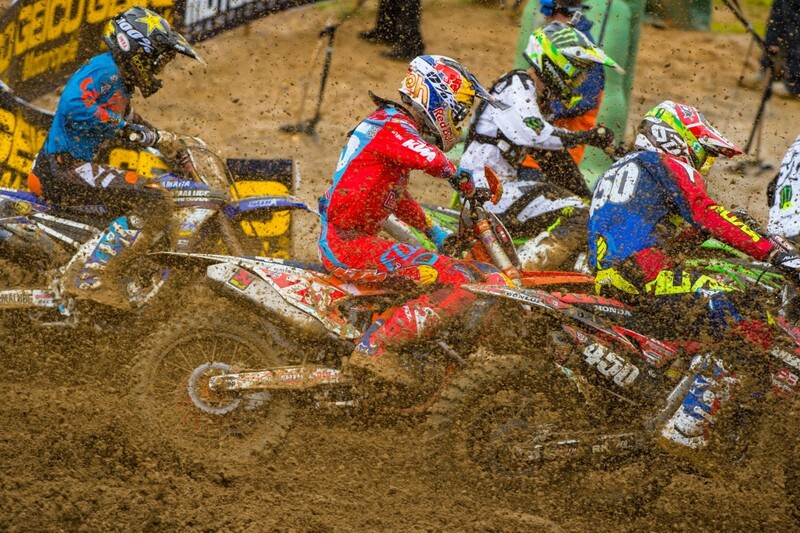 Musquin didn’t get his typical good start at the gate drop of moto one and came around the first lap in eighth place. He quickly moved past one rider before suffering a setback on the fourth lap that dropped him to eleventh place. In the remaining laps he fought hard to move back up to seventh, despite the muddy conditions. The French rider got away well in his second moto and was second after the opening lap. He moved around the lead rider on lap six to take over the number spot. From there, he went on to take the win. His 7-1 scores earned him the overall for the day. 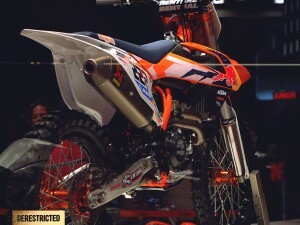 Dungey started his race day with a great start in the first moto to take the lead on the opening lap. Battling the difficult conditions, he held the lead throughout the race to run a perfect moto and pick up the first moto win. Severe weather then disrupted the race program and after a tornado warning and evacuations for many fans, the race continued after a two-hour delay in extremely muddy conditions. 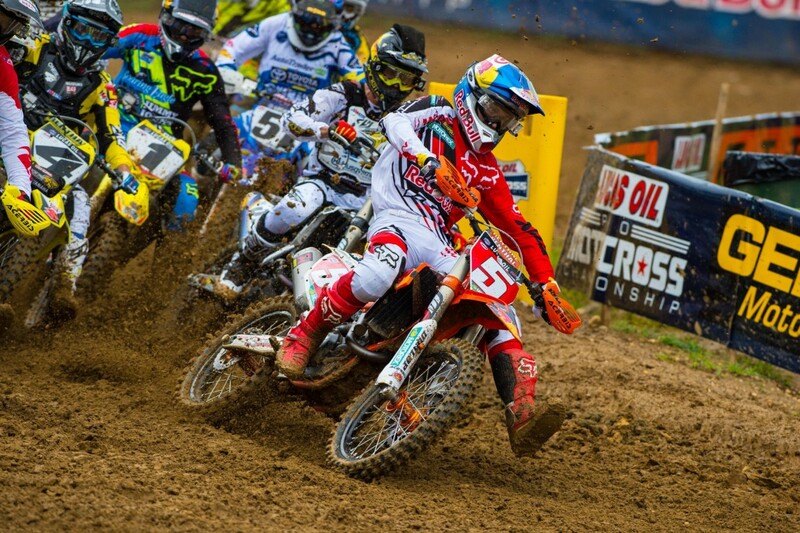 Dungey suited up for the second moto where he got a great start and was immediately battling for the lead. Then he failed to get enough drive off a jump on the opening lap, came up short and crashed. He recovered and went on to finish that lap in twenty-first position. He fought his way back to eleventh place despite the challenging conditions, but had to return to the pits for new goggles with a few laps to go after he ran out of tear-offs. 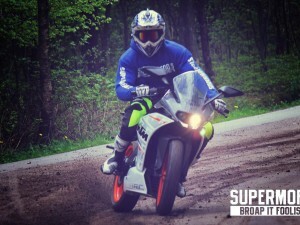 He then finished the moto in twelfth place. His 1-12 moto scores earned him fifth overall for the day. Next Round: Red Bud, Buchanan, MI on July 4.